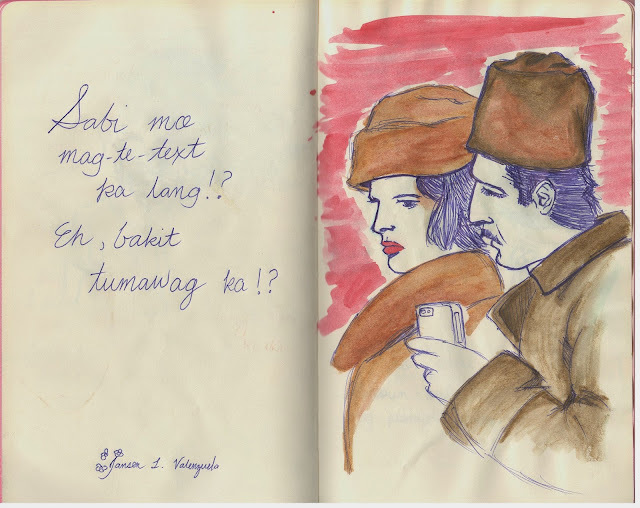 Sabi mo mag-te-text ka lang!? Eh, bakit tumawag ka!? The power was out for a few hours yesterday. 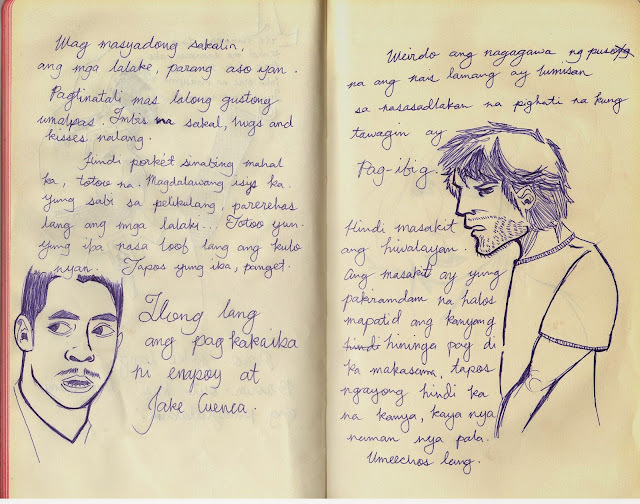 While wallowing in intense heat, I decided to pull out my trusty notebook and doodle some stuff up. I used references for most of my drawings and thanks to a Readers Digest nearby, I was able to whip up some of the images I have posted here. It was fun to actually write and draw without thinking too hard about what I am doing. To all of my foreign visitors, the language I use here is my own native tongue, Filipino. 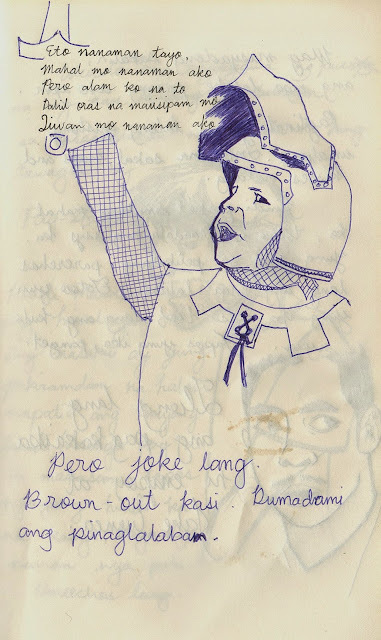 I am sorry if I am not going to bother translating this, most of the things I have written is done in jest and most of it involves Pilipino humor. So you will not understand it even if I translate it. Ha-ha. Anyway, you might be curious with the difference between Filipino and Pilipino. There's a difference actually, we use Filipino if we are referring to our language and Pilipino if we are referring to ourselves, our nationality. ...joke lang. Brown out kasi. Dumadami ang pinaglalaban. EDIT: This is also my 100th post! Hooray!